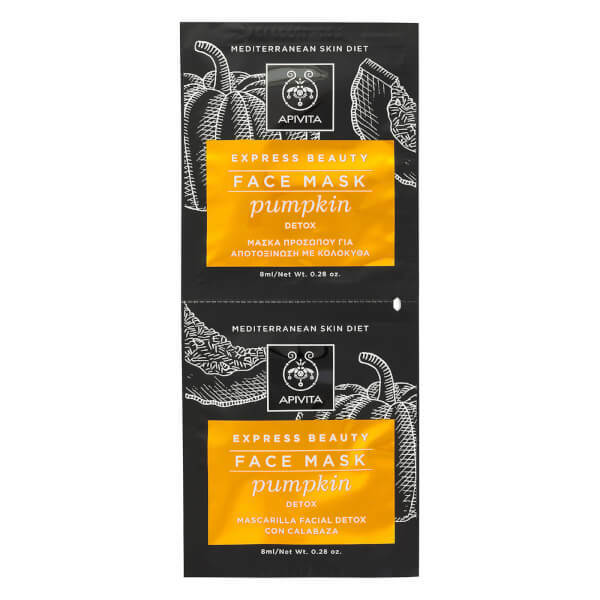 Improve your skin's overall appearance with APIVITA Express Detox Face Mask - Pumpkin; a revitalising, 10-minute treatment infused with a host of beneficial ingredients. 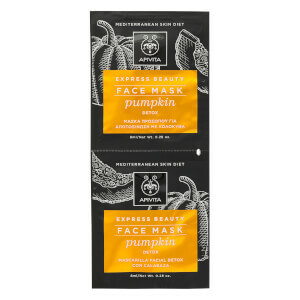 Combining Pumpkin Enzymes and White Clay, the exfoliating formula effectively buffs away debris and dead skin to reveal a smoother, more refined texture and even tone. A rejuvenating blend of Shea Butter, Honey and Hyaluronic Acid work in tandem to restore a soft, deeply moisturised visage. Aqua** (Water**), Glyceryl Stearate, Lactobacillus/Pumpkin Fruit Ferment Filtrate, Propanediol, Glycerin, Kaolin, PEG-100 Stearate, Sorbitol, Propanediol Dicaprylate, Butyrospermum Parkii (Shea) Butter*, Sodium Acrylates Copolymer, Panthenol, Cucurbita Pepo (Pumpkin) Seed Oil*, Olea Europaea (Olive) Fruit Oil*, Mel (Honey), Lecithin, Helianthus Annuus (Sunflower) Seed Oil*, Hydrogenated Lecithin, Aqua (Water), Sideritis Perfoliata Flowers/Leaves/Stems* Extract , Sodium Hyaluronate, Sideritis Scardica Flowers/Leaves/Stems* Extract , Sideritis Raeseri Flowers/Leaves/Stems* Extract, Leuconostoc/Radish Root Ferment Filtrate, Mica, Hydroxyacetophenone, Tocopheryl Acetate, Ethylhexylglycerin, Polysorbate 20, Tocopherol, Disodium EDTA, Zingiber Officinale (Ginger) Root Oil, Parfum (Fragrance), Geraniol, Limonene, Citral, Benzyl Salicylate, Citronellol, CI 77891 (Titanium Dioxide).